The cardioprotective and inotropic effects of standardized active natural substance based on high-molecular-weight compounds of humic origin were studied on the model of global ischemia (40 min) and reperfusion of isolated perfused rat heart. Preventive administration of the test substance (0.1 mg/ml) before ischemia/reperfusion modeling reduced reperfusion contracture and necrotic death of cardiomyocytes and promoted recovery of myocardial contractility. Blockade of NO synthase with L-NAME (100 μM) abolished the above effects of the test substance. 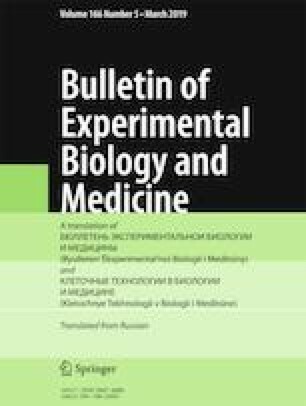 It was hypothesized that NO synthase plays an important role in the development of the cardioprotective and inotropic effects of the test natural substance. Zykova MV, Schepetkin IA, Belousov MV, Krivoshchekov SV, Logvinova LA, Bratishko KA, Yusubov MS, Romanenko SV, Quinn MT. Physicochemical characterization and antioxidant activity of humic acids isolated from peat of various origins. Molecules. 2018;23(4). pii: E753. doi: https://doi.org/10.3390/molecules23040753.